All Halls Lead to the Band Room..."
In their 27th year of music making, The Bands of Cathedral City High School are performance-level ensembles specifically designed for developing, serious musicians. The primary goal of the CCHS Band Program is to introduce students to the varied wind band repertoire at the highest level possible; while also providing them with knowledge to delve further into the study of music both at Cathedral City High School and beyond. 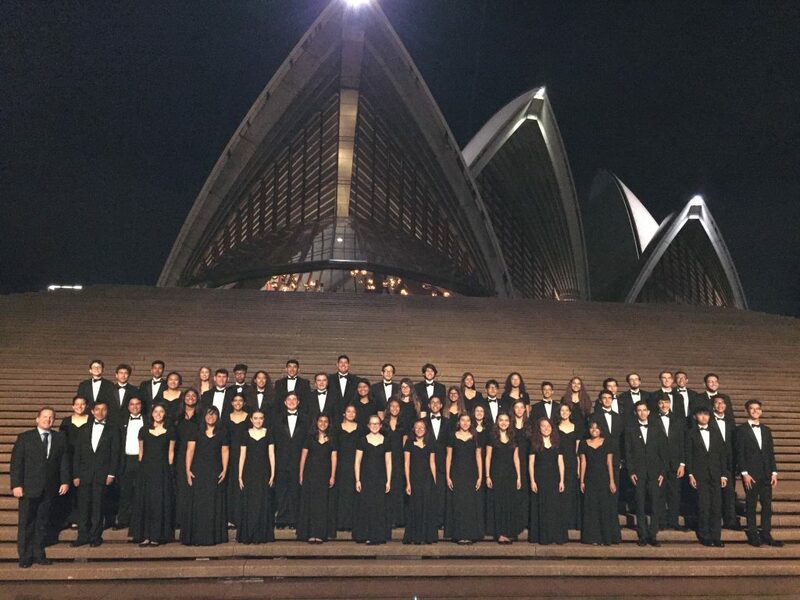 performed in such prestigious performance venues and locations as The Sydney Opera House (Sydney, Australia), Carnegie Hall (New York City), Walt Disney Concert Hall (Los Angeles), Symphony Hall (Chicago), The Kennedy Center (Washington D. C.), St. John’s Smith Square (London, England), Heidelberg Castle (Heidelberg, Germany), Chateau Vaux-le-Vicomte (Paris, France), Holy Trinity Church (Stratford, England), the Rose Bowl (Pasadena, California), Disneyland Resort, Hawaii, and San Francisco. The CCHS Marching Band has performed in parade live on national television three times since 2005. The CCHS Symphony Band is a 4-time recipient of the Mark of Excellence Wind Band Honors for California (2008, 2009, 2013, 2016). Additionally, the CCHS Symphony Band was selected by the California Band Director’s Association as a feature ensemble for the 2017 CASMEC Convention in San Jose, and in 2008 at the CBDA Convention in Fresno. In 2015, Cathedral City High School was named one of the nation’s “Best Communities for Music Education” by the NAMM Foundation, in support of excellence in music education. The Cathedral City High School Bands consist of the Concert Band, Symphony Band, Jazz Band, Percussion Ensemble, Winter Drumline, Winter Guard, and the “Royal Regiment”—the CCHS Marching Band and Color Guard. 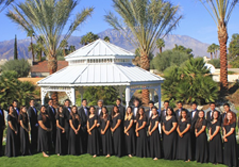 The 200-plus students who participate in the instrumental music program reflect every background, academic pursuit, and scope of the student body at Cathedral City High School. Personal Accountability To Our Best Effort…..DAILY…From Everyone. Leadership Without Excuse/Execution Without Error. Covenant To Carry Ourselves With Class, Professionalism, and Civility. We Will Leave No Detail Unprepared – In Class And In Life.